The block splits incoming clamp line into two circuits. 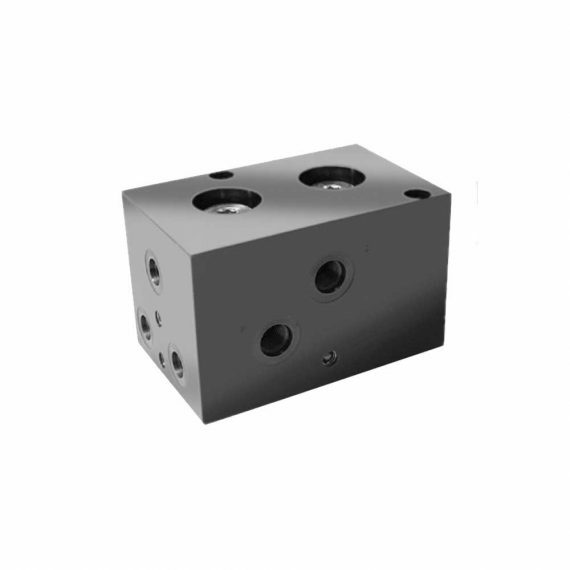 This provides dual safety protection for the bed or slide circuit by means of two pilot operated check valves. If there is a pressure loss in one circuit (A1) the opposite clamps in circuit (A2) stay clamped. The pressure loss, monitored by a pressure switch at the pump triggers the press E-stop circuit. 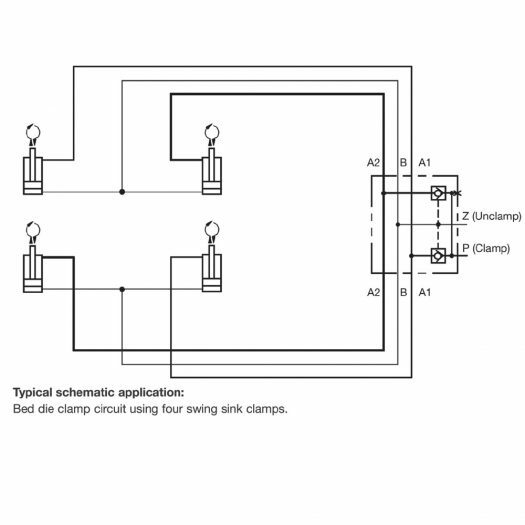 Typical schematic application: Bed die clamp circuit using four swing sink clamps.